British Backgammon Awards 2018 – nominate your favourites! 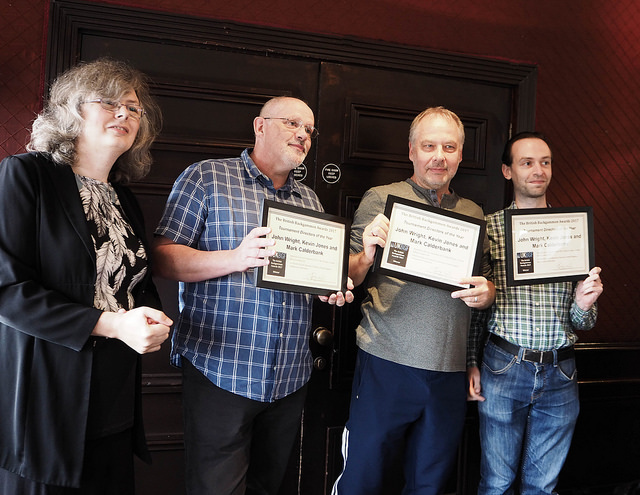 Another year has passed and we want you to tell us who in the backgammon world has made a real difference over the course of the last year, since nominations were last invited for the Awards a year ago. We’ll collate the nominations and voting will happen over the course of August, with the deserving winners being announced at the UK Open in September. We’ve featured a lot of tournament winners on the UKBGF blog over that time, the international teams have carried on their run of success, we’ve seen new events come on to the calendar, and we’ve seen more clubs spring up in various parts of the country. Backgammon wouldn’t be what it is without the tournament directors, the club organisers, the unseen helpers, and the players – some of whom may never even have won a trophy but whose presence makes an evening session a highly enjoyable experience. To nominate your favourites, simply mail julia@ukbgf.com with a list of your nominees and what categories you are nominating them in. Joint nominations are allowed, for example where there are small teams who organise significant events. Please include a brief reason why you’re nominating them and what makes them stand out – it need only be a few words to encourage others to support your nominee! You can even nominate more than one person in each category, although you’ll only be able to vote for one in each category when the time comes. Nominations close at midnight on 22nd July 2018. We will announce the shortlists by the end of July and voting will take place between then and the UK Open. Remember, you must be a UKBGF member to vote. If you feel there’s someone exceptional who deserves an award but doesn’t fit into any of the above categories, please do also let us know. First of all, well done to Jon for winning the Blackpool event after beating Eric McAlpine in the final. The weekend started at 2pm Friday with 64 players turning up to contest the first Freeroll of the weekend. Later that afternoon Steve Bibby ran his new and innovative “Rebuy Blitz”. Moving into the evening we had a total of 91 players across two events. Saturday saw the start of the main event and 120 players fighting it out over 5 swiss matches to get into one of the 32 qualifying places up for grabs. The Intermediate section of the tour finally got off to a bang with the London Open and we have our first TWI Intermediate qualifier. Congratulations to Richard Halvorsen – London Open 2018 Intermediate Champion. On a scorching hot weekend, 120 players ranging from the UK’s #1 to complete beginners made the trek back to Henrietta Barnett School in Hampstead for another successful long weekend of backgammon. In less than a week many of you will be taking the annual trip to Blackpool to battle it out for the Imperial Cup. Those of you who have entered should have,in the past couple of days, received an email with lots of important information to digest, please take a few minutes out to read it as there are some important changes this year.